By publishing this post in November I’m vainly hoping that most visitors wont realise that the previous post was published in October of the previous year. The blog has been neglected a bit due to me renovating my new house. The house is (mostly) finished now, so I can start to design and install some home automation – – a subject for future blog posts. 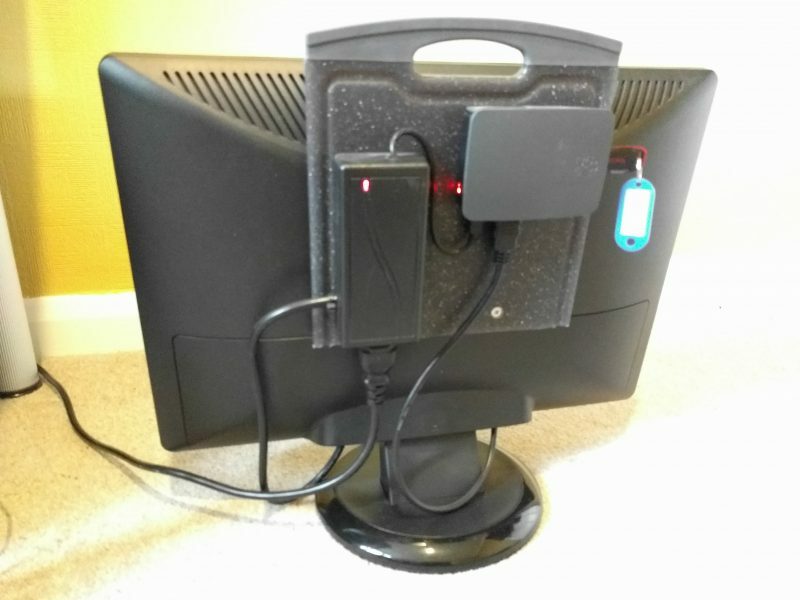 This project is pretty self-explanatory; it is, in essence, just a Raspberry Pi 3 mounted to the back of a monitor. The mounting board is a cutting board that I bought from Sainsbury, the power supply I bought from Amazon Marketplace (mains power to 5VDC@3A). I modified the PSU to pass through mains power for the monitor so I would only need one plug (PLEASE DON’T ATTEMPT THIS UNLESS YOU KNOW WHAT YOU’RE DOING!). I mounted the board such that I could use the board’s handle to carry the whole system easily, and I configured the Pi to boot from a USB drive rather that the SD card (which would be tricky to remove/insert when mounted on the board). 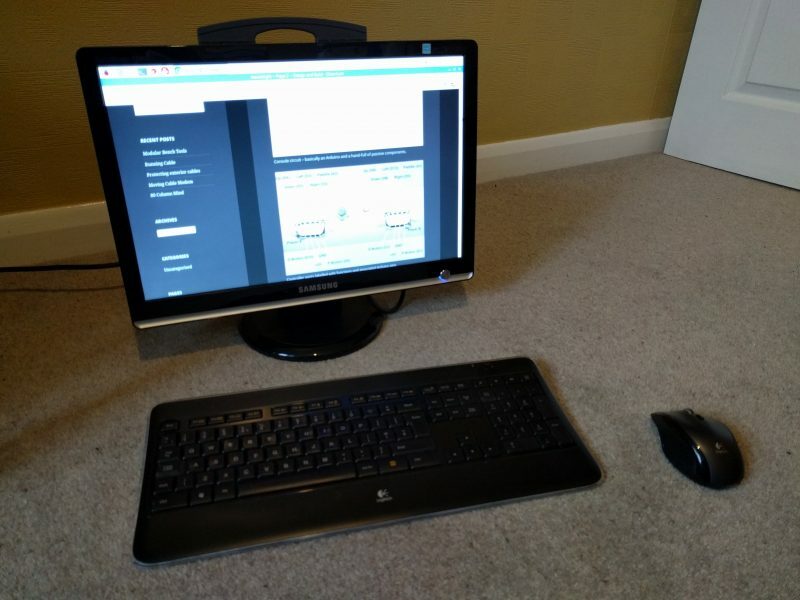 There are many times when I don’t need to boot up my quad-core beast of a PC; the Pi will do what I want a lot of the time. The main advantage (I find) of using the Pi is that it runs in complete silence.